This post has been updated to include a scenario in which the RGV Vipers would not claim the No. 4 seed and host a playoff game. 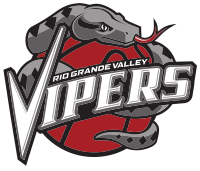 The RGV Vipers moved closer to securing the No. 4 seed in the Western Conference and the right to host an opening round playoff game by defeating the Texas Legends 115-104 on Friday at Dr. Pepper Arena in Frisco. The victory extends RGV’s win streak to four and moves the team to 29-20 on the season. The other two wild-card teams in the Western Conference will be Texas (28-21) and either the Reno Bighorns (28-21) or the South Bay Lakers (28-21) after one of those teams claims the Pacific Division title. All four teams are in action on Saturday to close out the G League regular season. The Vipers will claim the No. 4 seed in all scenarios with one exception: if the Vipers lose and the Bighorns and Lakers both win. The G League playoffs begin as soon as Tuesday, and the Vipers close the regular season against the Oklahoma City Blue at 7 tonight at State Farm Arena. Houston Rockets two-way player R.J. Hunter led the Vipers with 27 points on 9-of-18 shooting, including 6 of 12 from beyond the arc. Darius Morris finished with a near triple-double of 15 points, nine rebounds and eight assists. Isaiah Hartenstein scored 15 points with four rebounds, Houston Rockets assignment player Chinanu Onuaku had 13 points, eight rebounds and five assists, and Chris Walker scored 12 points with six rebounds. Denver Nuggets two-way player Monte Morris was transferred to RGV hours before Friday’s tip-off and finished with seven points and six assists. The Vipers shot 54.9 percent from the field and 42.9 percent from 3-point range. Hunter hit a trio of 3-pointers in a span of 72 seconds to help RGV to a 13-5 lead early in the opening quarter. The Vipers led by as many as 11 in the period before carrying a 33-27 advantage into the start of the second quarter. Texas reclaimed the lead early in the second period before RGV used a 7-0 run to go back in front, eventually taking a 64-58 edge to the halftime break. The Legends pulled as close as four in the third quarter but the Vipers maintained a lead throughout the period, riding 10 points from Hunter and eight points, three assists and four rebounds from Onuaku during the period to a 90-81 advantage entering the final quarter. The Vipers led for the duration of the fourth quarter as the Legends pulled no closer than five points and were unable to score during the final two minutes.